Lovage scientifically known as, Levisticum officinale, is a tall perennial plant, the sole species in the genus Levisticum, in the family Apiaceae, of which dill, angelica, carrot, celery and parsley are also members of and shares their characteristic aromatic scent and flavor. The plant is native to Mediterranean region of southern Europe and Asia Minor, but can also be found growing throughout central and Southern Europe, parts of Britain, eastern U.S. and Southwestern Asia. Few of the popular common names of the plants are Mountain hemlock, Garden lovage, Bladder seed, Love Parsley, Spring Celery, Old English lovage, Italian and Cornish lovage, maggi plant, smellage, cajoler’s weed, levisticum, maggiqurzel and sauerkrautwurz. The plant is often grown in the herb garden as a culinary herb and is occasionally grown commercially as a food flavoring. Genus name comes from the Greek lithostikon that was used for an unidentified plant. Specific epithet means sold in shops. The name lovage comes from the Latin word meaning “from liguria” because, at one time, the herb flourished in this region. 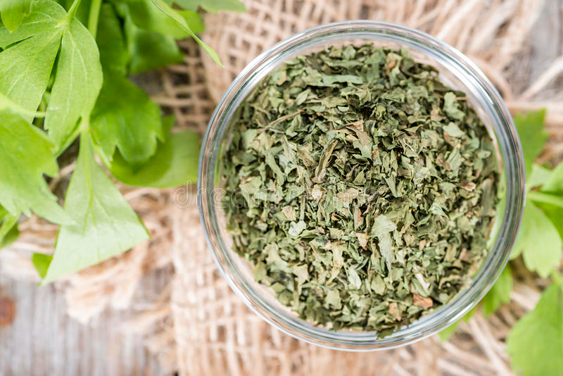 Translated to English, it evolved into “love parsley.” Misled by its descriptive name, lovage has been included in numerous OTC “love tonics.” Today it is a common ingredient in commercial herbal teas. 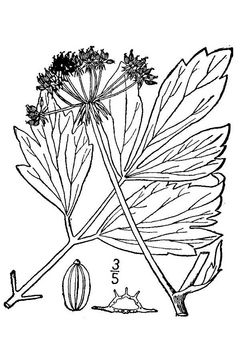 Extracts of lovage are used as flavorings for liqueurs, spice extracts and bitter spirits and fragrances for cosmetics. Cooked leaves and roots have been eaten. The odor of the whole plant is very strong. Its taste is warm and aromatic, and it abounds with a yellowish, gummy, resinous juice. Lovage is an erect, herbaceous, aromatic, umbelliferous perennial plant that grows about 1.8–2.5 m (6-8 feet) tall. The plant is found growing wild in yards, gardens, against walls and wasteland. The plant is found growing in average, medium moisture, rich, well-drained and humus-rich soil. It also prefers moist, loamy soil in full sun. The plant has thick and fleshy root, 5 or 6 inches long, shaped like a carrot, of a greyish-brown color on the outside and whitish within. Stem is thick, branched, glossy, glabrous, bluish, erect hollow and channeled that grows 3 or 4 feet or even more in height. Larger basal leaves are up to 70 cm long, tripinnate, with broad triangular to rhomboidal, acutely pointed leaflets with a few marginal teeth; the stem leaves are smaller, and less divided with few leaflets. Flowers are yellow to greenish-yellow, 2–3 mm diameter, produced in globose umbels up to 10–15 cm diameter. Flowering normally takes place from July to August. These beautiful flowers are followed by Egg-shaped, slightly flat-backed, 2-sectioned, low-ridged, narrowly winged, 5–7 mm (0.2–0.28 in.) long schizocarp that are yellowish-brown in color. Seeds start ripening from August to September. 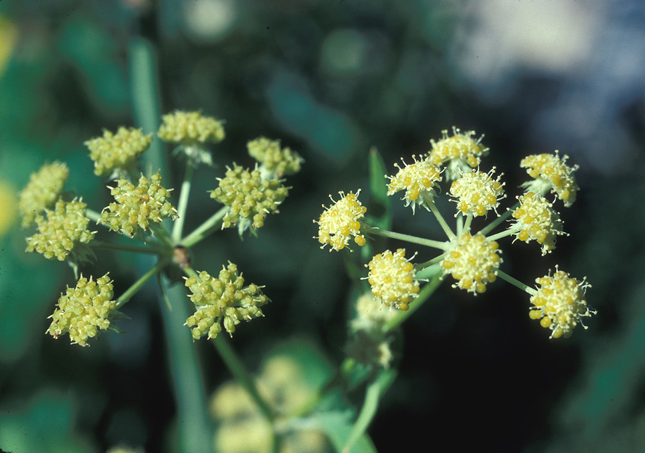 When crushed, the entire plant smells similar to celery or angelica. The plant has spicy-sweet and slightly bitter and pungent taste. The exact native range is doubtful. Some sources mention it as native to much of Europe and southwestern Asia, others from only the eastern Mediterranean region in southeastern Europe and southwestern Asia, and yet others only to southwestern Asia in Iran and Afghanistan, citing European populations as naturalized. It has been long cultivated in Europe, the leaves being used as an herb, the roots as a vegetable, and the seeds as a spice, especially in southern European cuisine. Today it is found growing in several parts of the world due to its amazing taste and health promoting benefits. 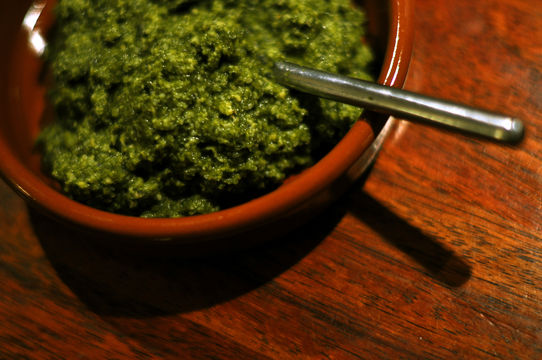 Regular use of Lovage can help to support a healthy joint. It is a good benefit for elderly who usually have problems with the joint health. Therefore consume this plant to improve the joint and help with any possibility of joint inflammation. Consume lovage to support the lung system. Therefore, it can manage a healthy lung condition and improve the lung movement. This is essential to make sure proper distribution of air and oxygen around the body system. Lovage has mild pain-relieving properties and can help relieve joint pain, abdominal cramps, possibly headaches and other types of pain. Research show angelic acid is responsible for the mild analgesic properties of lovage, but other volatile oils in its composition and even nutrients (like magnesium with its antispasmodic effects) contribute to its pain-relieving benefits. Lovage is an aquaretic, or a type of diuretic that boosts urination without electrolyte loss. The increased urination clears gravel and calcified stones from the kidneys, perhaps aiding in the prevention of kidney stones. Not only that, lovage flushes the urinary tract, possibly avoiding urinary tract infections and other urinary problems. Leaves of lovage are effective in keeping a fresh breath. What more, the plant has a unique smell that can help to make a better breath after consumption. Many people believe that consuming the leaves can help to soothe any cold syndrome. Thus, the leaves are suitable to add into a soup to bring an herbal remedial effect into some cough and fever. Additionally, it can manage a healthy body which feels unwell. Most plants produce natural chemicals to fight off harmful organisms. 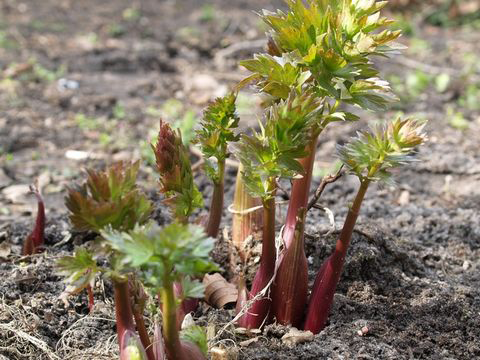 While some plant chemicals–like resveratrol–act independently, researchers have found the chemical compounds in lovage work together to create a very powerful effect against harmful organisms. Scientists have found lovage one of the most powerful extracts against gram-negative bacteria like E. coli, Salmonella, H. pylori, and H. influenza. The anti-inflammatory effects of lovage naturally help reduce the symptoms of allergies. But when it comes to allergies, lovage goes a bit farther. Quercetin, a compound present in lovage, prevents histamine release and eases skin irritation related with the allergic response. Occasionally when you’re sick with a UTI, or any illness, it can disturb your appetite as well as your eating habits. It’s important to eat when your body is fighting an infection, it requires extra nutrients. You run the risk of malnutrition if you don’t eat properly. If you find yourself struggling to maintain a healthy appetite, try drinking some lovage tea before mealtime to relax your digestive system. Lovage tea can be applied to wounds as an antiseptic, or drunk to stimulate digestion. Lovage is a warming and tonic herb for the digestive and respiratory systems. It is used primarily in the treatment of indigestion, poor appetite, wind, colic and bronchitis. Roots, leaves and fruits are antispasmodic, aromatic, carminative, diaphoretic, digestive, diuretic, mildly expectorant and stimulant. They are used internally in the treatment of disordered stomachs, especially cases of colic and flatulence in children, kidney stones, cystitis, painful menstruation and slow labor. Externally, the root is used in the treatment of sore throats and aphthous ulcers. Leaves, either eaten in salads or dried and infused as a tea, have been used as an emenagogue. Essential oil from the seeds is used by aroma therapists to remove freckles and spots from the face. 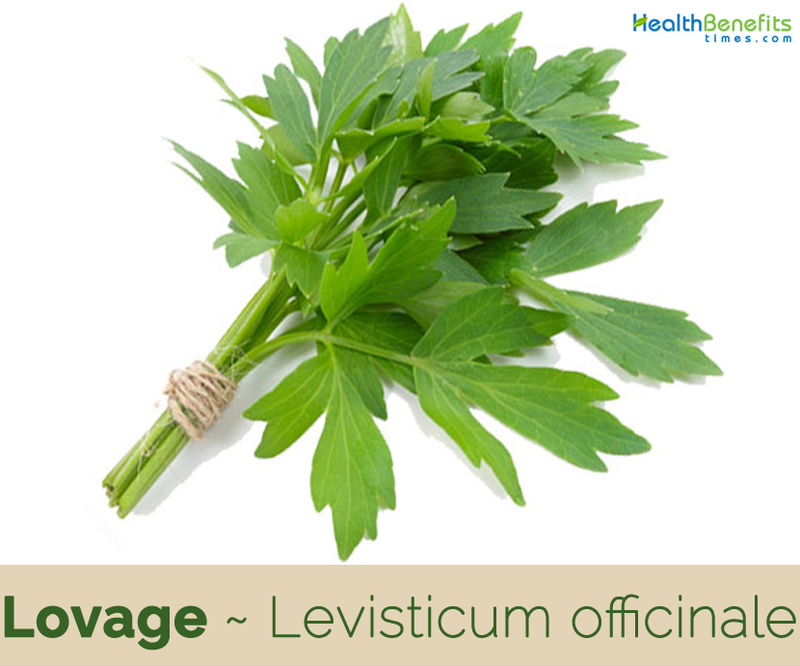 Lovage is used for infections of the urinary tract, kidney and bladder stones. It was used in the 12th century to relieve abdominal pain, heart conditions and for digestive complaints like coughing and congestion. It has been traditionally used to reduce flatulence and as a natural remedy for abdominal pain caused by gas. It has also been used to treat children suffering from colic. It was used by the School of Salerno as a natural remedy to support the liver and treat jaundice. Traditional herbal practitioners consider lovage to be an effective natural diuretic and also use it to treat kidney stones. Poor appetite may be treated naturally with the herb, and it is used in many herbal bitters. Leaves can be used in salads, or to make soup or season broths. Roots can be eaten as a vegetable or grated for use in salads. Seeds can be used as a spice, similar to fennel seeds. 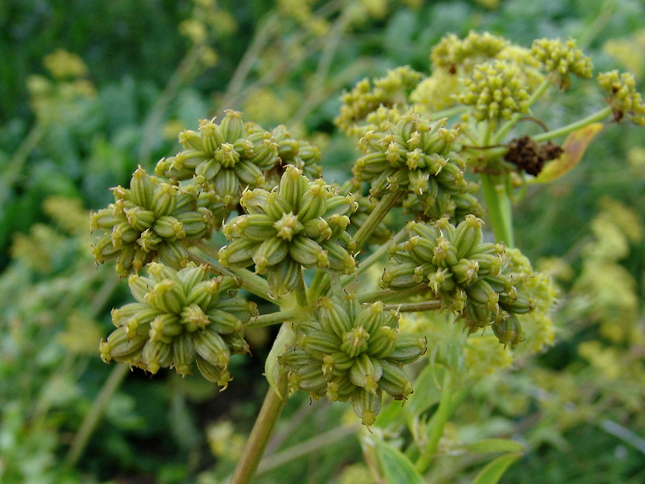 An alcoholic lovage cordial is traditionally mixed with brandy in the ratio of 2:1 as a winter drink in UK. Leaves are the preferred seasoning for the various local broths, much more so than parsley or dill in Romania. 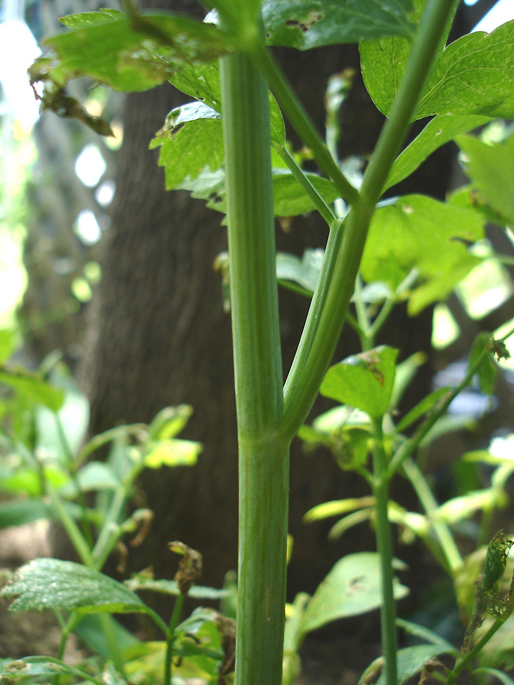 Leaves and stems are consumed raw or cooked. It is used as a savory flavoring in salads, soups, stews etc., imparting a yeasty/celery flavor. Young stem can be blanched and used like celery in salads or as a savory flavoring in cooked foods. 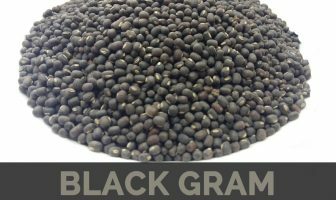 Seed has strong yeasty flavor and is used as a flavoring in cakes, soups, salads etc. Seed can be used whole or ground into a powder. Cooked root has strong savory taste; it can be used as a flavoring or cooked as a vegetable. Tea is made from the dried leaves and grated roots. An essential oil from the root is used commercially as a food flavoring. 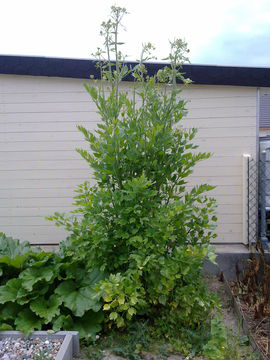 People of Netherlands use it as an ingredient in Asparagus dish. 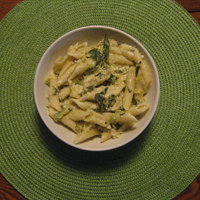 Lovage is used with oregano and garlic for tomato sauces in Italy. Seeds are sprinkled over salads and mashed potatoes and are crushed for breads, pastries, biscuits, and cheeses. Stems and stalks are chopped for use in sauces and stews, while the crystallized leaves and stems are used for decorating cakes. Roots are peeled to remove the bitter skin and are then used as a vegetable or are pickled. Add the chopped leaves to casseroles for a really interesting flavor. It is also used dried and with seeds to conserve and to add flavor to pickled cabbage and cucumbers in Romania. Lovage is third in quercetin content behind tea and capers. Lovage root contains furanocoumarins which can lead to photosensitivity. It is used as a substitute for the traditional Chinese medicine “dang gui” and for flavoring. Leaves are harvested before the plant comes into flower and either distilled for their oil or dried for later use. An essential oil from the plant is used in perfumery. Odor of the whole plant is very strong. Its taste is warm and aromatic, and it abounds with a yellowish, gummy, resinous juice. 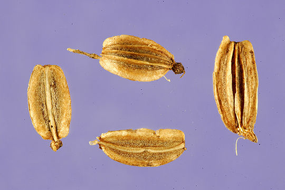 Seeds and seed oil are used as a flavoring in confectionery and liqueurs. 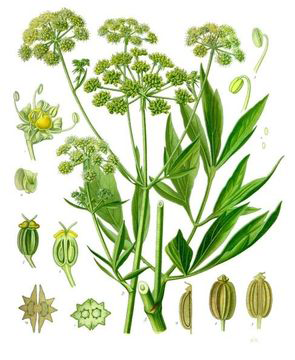 Volatile oil extracted from the lovage root is used in perfumes, soaps, and creams, and as a flavoring for tobacco products. Capsules: two capsules once or twice daily or follow the manufacturer’s instructions. Infusion: steep 1 tablespoon of the leaves in 1 pint of boiling water for 7 minutes; drink several cups throughout the day. Lovage is said to contain the alleged ‘psychotroph’ myristicine. Volatile oil is an irritant. Contraindicated with kidney or urinary passage inflammation. Lovage can be harmful for women, and it’s recommended that women who are pregnant or suffer from menstrual disorders must avoid this herb. Lovage can also prompt photo-dermatitis, a skin allergy that occurs after eating the herb and exposing yourself to sunlight. 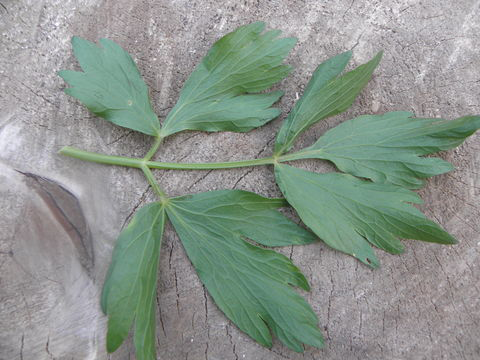 People with kidney problems should refrain from consuming or using lovage or its derivatives. Too much consume of the herbal plant may lead into diarrhea. Therefore, consume as necessary. Excessive use (many times the recommended dosage) may cause kidney damage. Warm the butter in a large saucepan over a medium-low heat. Add the onion, thyme and a pinch of salt, and sauté until the onion is soft and translucent, about 10 minutes. Add the lovage stalks and sauté for a couple of minutes. Pour in the broth or stock and simmer for 10 minutes. Add the rest of the vegetables (but set aside some lovage leaves to garnish) and simmer for five minutes. 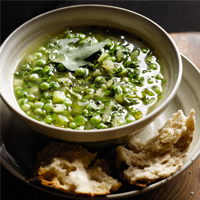 Season and serve with dollops of the yogurt or crème fraiche and a scattering of lovage leaves. Trim the tops and bottoms off the courgettes, then shred into ribbons with a sharp vegetable peeler. Meanwhile, heat the oil in a large saucepan over medium-high heat, add the courgettes, season and sauté until slightly golden, about five minutes. Add the garlic and lemon zest, and fry for a minute. Stir in the lovage. Taste and season again. Drain the pasta (reserve some cooking water) and toss with the courgettes, a couple of tablespoons of cooking water, parmesan and ricotta. 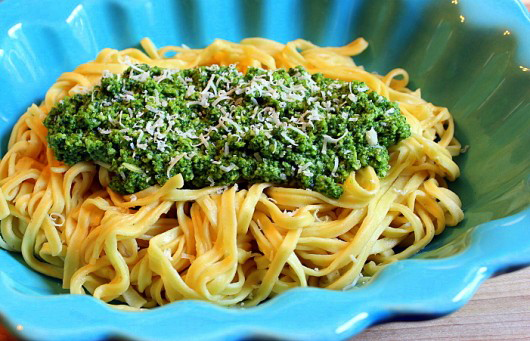 Serve in warmed bowls with more parmesan sprinkled on top. Levisticum persicum Freyn & Bornm.